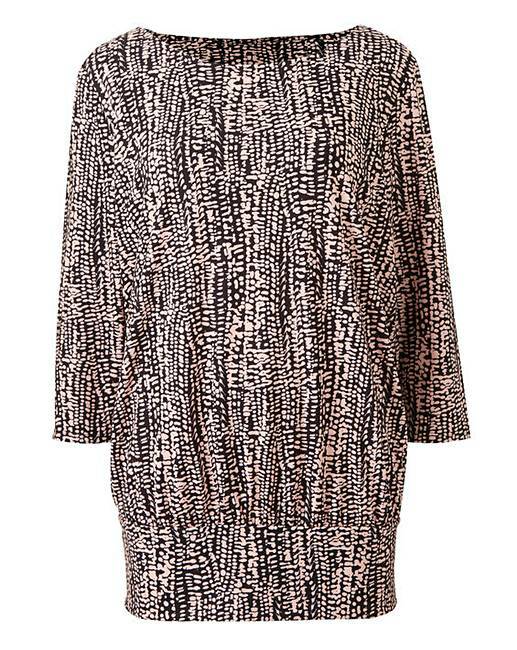 This printed banded hem is the perfect top to revamp any wardrobe. The banded hem teamed with the ¾-length sleeves, helps to create a flattering silhouette whilst looking fashionable. Team with ripped jeans and your favourite mules for a fashionable day to night outfit.